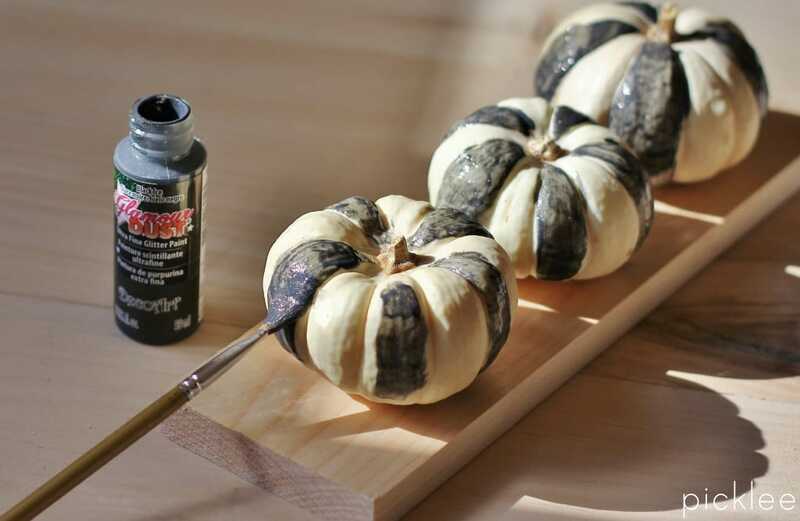 Are you all ready for the Trick-or-Treater’s on Thursday? I must admit, Halloween is one of my favorite nights of the year. If I could still get away with dressing up and collecting candy and Halloween treats door to door I definitely still would! Oh well, at least I get to eat all the leftover candy I buy for my neighborhood kiddos =) Every year I like to try something different with pumpkins, besides the obvious carvings. 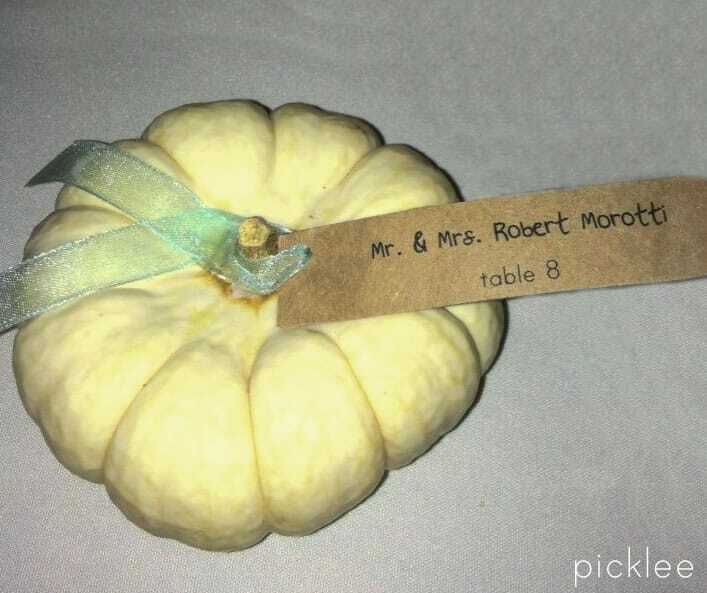 This year, I bought a bunch of little white Baby Boo Pumpkins, which also happened to be the place cards at my wedding-here’s a photo of one of them, more wedding photos to come! 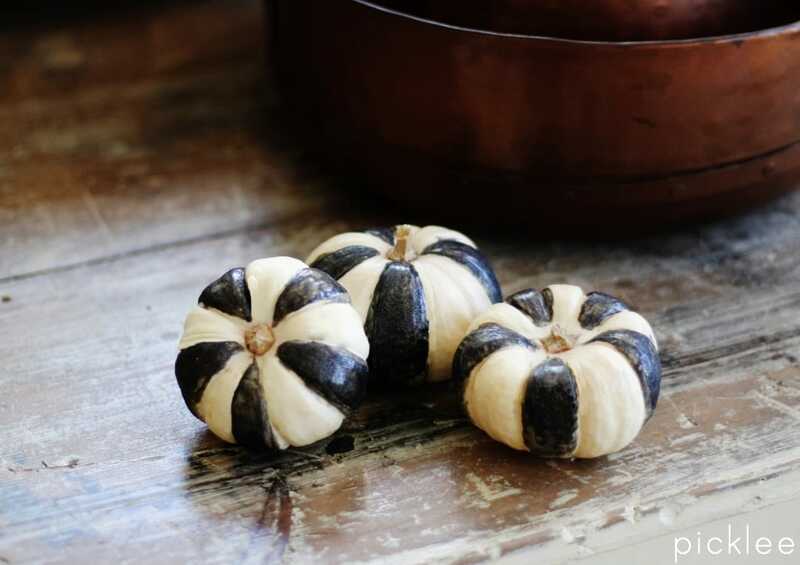 After the wedding, I was left with lots of Baby Boo pumpkins, so I decided to dress some of them up in black and white! 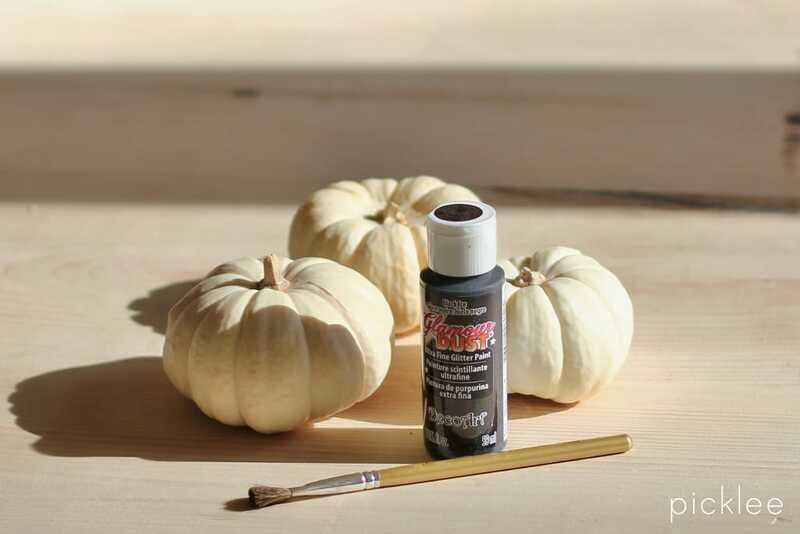 These little guys looked so chic after their makeover, I dubbing them the “Black Tie Pumpkins“! I LOVE the way the Glamour Dust paint glitters in the sun! 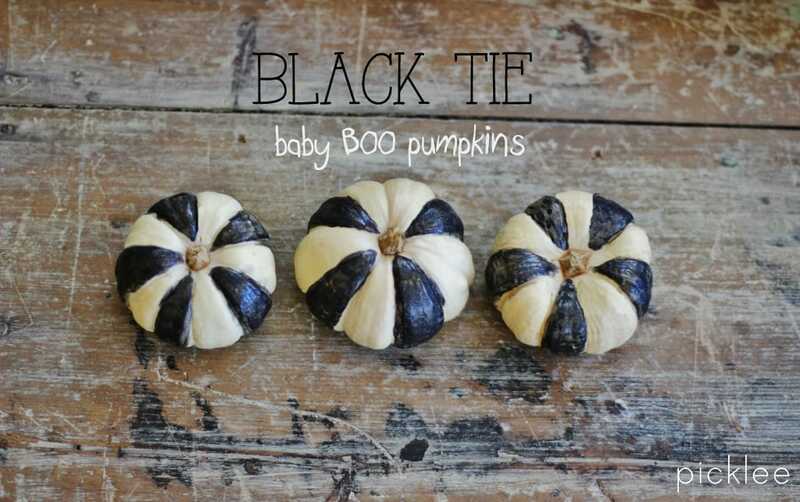 Allow the pumpkins to dry for a couple hours and there you have it, glamorous black tie pumpkins!